Get your visa before relocating to Ecuador. Don’t wait until you move to Ecuador to start the Visa process. You may have issues with your documents, which could cost you time and money. In some cases this means flying back home to fix the problem. That’s why you need to get our visa service if you’re relocating to Ecuador. Many of the documents required for relocating to Ecuador are time sensitive. The Ecuadorian Immigration authorities change the regulations frequently, and that can be confusing. You may have overlooked a document or left it behind. After you get your original documents notarized and apostilled, the clock starts running. The visa application must be submitted in Ecuador well before these documents expire. You may have the correct documents, but if they expire before you get your visa, you will have to start the process all over again. Gringo Visas is the only visa service with offices both in the United States and Ecuador. 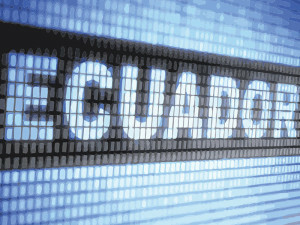 We can help you obtain your Visa before relocating to Ecuador. Once you have compiled your original documents, depending on the type of visa you need, send them to our US office, our staff can take care of notarizing and apostilling (legalizing) them for you. They get shipped to our office in Cuenca, Ecuador and translated into Spanish, notarized and checked by our legal staff. Only then are they submitted to the Immigration authorities. Once your Visa is approved you will be notified, then you can get your Visa at your nearest Ecuadorian Embassy or Consulate. When you move to Ecuador, you’ll be accompanied to the Immigration office to complete your visa registration. Gringo Visas is committed to obtaining your residency visa – fast, easy and affordable by doing what we do best, nothing for Visas. Gringo Visas has a bilingual staff including in-house legal counsel with offices in Cuenca and Quito, Ecuador. Gringo Visas is the only visa service provider in Ecuador also with an office in the United States.